Looks like we have some good news! There’s a celebration in order. Call Me When It’s Over is officially 3 years old!!! 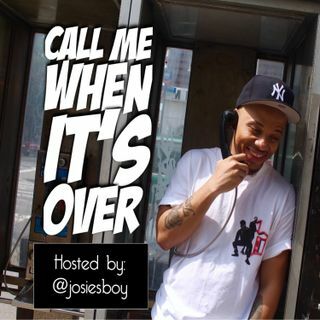 In celebration of this amazing milestone, here’s episode 147 of Call Me When It’s Over. On this week’s episode, “It’s All About 3’s”, Josiesboy (@josiesboy) and Alexis (@alonafuss) ... See More take the time out to enjoy this joyous moment. •Happy 3 year anniversary Call Me When It’s Over! •Standing in your authenticity will be your best move. •Do’s and Don’ts of the Game: Speak up when you do business.